MacMed Healthcare is an Australian owned company, providing cost effective solutions for pressure ulcer prevention and management, optimizing skin integrity and effective wound management. MacMed Healthcare specialise in the custom manufacture of an extensive range of uniquely configured pressure reduction products made to any size, developed, manufactured and distributed Australia wide. The MacMed Healthcare brand was designed to assist in the prevention and management of pressure ulcers. We understand the progression of technology that demands constant change and development whilst remaining sufficiently flexible to exceed customer expectations. MacMed Healthcare’s ability to adapt to each individual’s demand and to work with the customer has made us specialists in the creation of non-standard products. Our strategy is to continuously improve and develop existing and new products by networking and implementing suggestions from industry experts after full evaluation. Quality is our number one priority and MacMed Healthcare is totally committed to a quality assurance program. MacMed Healthcare is proud to be synonymous Australia wide for service, quality, design, innovation and ultimate results. MacMed Healthcare currently export product to the UK and New Zealand. 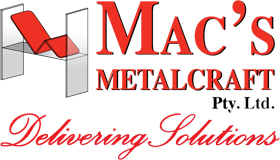 Established in January 2000 MacMed Healthcare is a professional and ethical company.